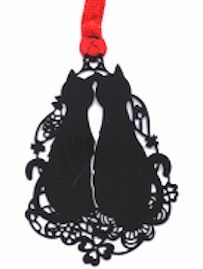 Here are two cats in silhouette on a red ribbon. 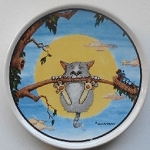 The metal cats are 1 15/16" high x 1 3/8" wide. A small red ribbon is attached. Use as an ornament, bookmark or as a pendant. New.